So here you are with the thought to start a new blog. How are you going to do it? Do you have any plan? Well, the first step is to search for the name of your blog what we call a domain name. 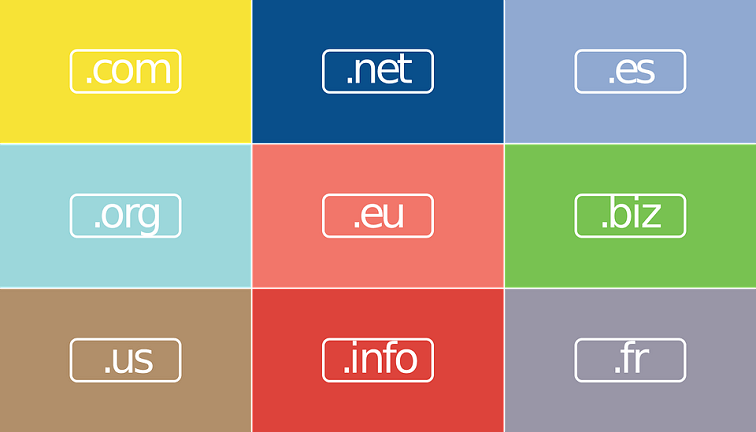 Do you know how to choose the best domain name? Nothing to worry about. I am here to let you know about the simple things which can be helpful in finding the perfect domain name of your new blog. What Are The Things To Consider To Choose The Best Domain Name? Before you jump in this blogosphere, you must learn a few things so that your first step is perfect. Have the basic knowledge of SEO, keywords, niche etc. It’s because you will get your domain name according to these factors. Let me show you the list. #1. Add A keyword of your Niche. If you’re a tech enthusiast then embed something related to technology. The thing is that it will improve the SEO of your blog. It would be helpful for your future goals. Keep the name simple as possible. Don’t try to show your creativity with this one name. Do you remember coffee? Well, it’s the most common thing you see or drink every day. Maybe you’re an addict. It’s because of its simplicity and the daily use. You should bring a simple name which is easy to remember and people can type it within a few seconds. #3. Use The Common Extension. Let us play a game. You have to guess a domain name. What would be the first extension you add? #4. Check the Meaning of The Name. Sometimes, people just select an unusual name without even knowing its meaning. Always check the meaning of the words you are embedding in the domain name. It can be turn out to be something funny which you never wanted. To choose the best domain name, vocabulary can be something you need. If you’re thinking about adding any number or any other symbol then drop the idea. The domain name like www.you4me.com is only good to read. But from a professional level, it’s useless. Have you seen any professional website consisting any symbols like @,#,$,% ? Well, the answer would be no. Your readers can’t remember it. You should search if the domain name you’re going to choose is trademarked. If you choose the similar name to any famous company then it won’t be good. You should select something unique. Don’t be a copycat. You may have seen the domain names like www.seotojournal.com which is related to the www.seojournal.com. You can’t be like that. #7. You Can Build Your Own Brand. People have the urge to spread their names around the world. It can be done by choosing a domain name of your name. You can start your own blog and make money with the domain name like www.johnsmith.com. It can be your name, your mother’s name or anything you want. #8. Don’t Do Spelling Mistakes. A great idea can be proved as the worst one if you unintentionally do the spelling mistakes. A few days ago, when I was trying to set up the Facebook Page of my blog, I did a mistake in the name. BloggingLove was written as BlggingLove. And you know what, no one even noticed it for many days. That’s funny. And finally, I corrected it. This is one of the most important things to choose the best domain name. #9. Never Limit To Your Area. Unless and until you are starting a local business, you should never put the name of your country or state. You never know your future. Maybe you would be the famous person all over the world. It won’t be favorable if you include something which is limited to your area. Spread it and choose a name which can be known by everyone. A few people add the words of their languages which can’t be understood by others. Like HINDI can’t be understood by everyone outside INDIA. #10. Don’t Confuse With The Words. Which one is easy to read and remember? Don’t you think the second one is confusing? You shouldn’t do that. Nowadays, people bring their chatting experience in such things. You should learn the possible ways to keep it away from your professional work and choose the best domain name. Are you thinking about something like www.youaremydreamgirl.com ? If you’re then you should check it again. You’re not here to celebrate your love anniversary or something. Come on, be professional and bring something which is short and professional. How about www.techgeek.com ? Isn’t that short and easy to find? What about blogginglove, bloggingpage, bloggingtips ? Can you Now Choose the Best Domain Name For Your Blog? The name of your blog shows what you have in your mind. Whether you start a blog for any professional niche or just for fun, you should choose the best domain name. From all those points mentioned above. Can you now choose the domain name which is short, simple, easy and effective? If you still have any doubt then take some advice from your friends and decide carefully. How To Move WordPress Site From Multisite To The Single Site Install? It is great to see that you are also covering the most important topic of online world. Choosing a domain name is really important yet crucial thing. Mos of the newbie bloggers do hurry when they about to choose a domain name and make so many mistakes for which they have to pay in long run. When choosing a domain, a blogger should merry his domain. Take time, think about all pros and cons, choose easy to type and easy to speak words will work in great way. You have real nicely shared all the points. Newbies are really in a hurry. They need to find a domain name which can suit their blog niche. It’s important to have a perfect domain name. Whether you think from the SEO point of view or anything else. The first step should be correct for your new blog. This would have been a useful post for me to have read a few years ago. In a different niche I now have a domain name with a number in the middle of it. I regret it every time I have to speak it. Sigh. However, it’s on all my business cards and stationery, so I guess I’m stuck with it other than doing an expensive (and probably unprofitable) renaming exercise. Can I take any consolation from the fact that it’s a pretty “old” domain? Anyway, great tips for someone choosing a domain name for a new blog. People are after the keywords but a few years ago, there was nothing like keywords and people used to care about only the name. But now SEO has emerged one of the most important factors. If it’s old then no need to worry about anything. SEO increases with the time. The domain authority also gets improved. Every website/blog needs a custom domain name, this I know. It has been one of the vital things to help bring traffic to a site which google loves so much. Knowing the right domain name to choose for your site is very important. Choosing a domain/s that are short and related to your niche is a great killer, too. I love your writing style and how you made justice to the post above. Thanks for sharing with us. I learnt my lessons already. Glad to read your amazing tips regarding domain name! Searching a perfect domain for our website is really tough task because most of domain which suits to our business niche website get booked earlier. Spelling mistake is really a serious concern because it totally change whole scenario whether in online or offline work. I loved your #1, #2, and #8 tips these are really great when matters comes to choose best domain name but overall your combination of each and every tips has potential to make a perfect domain name. Eventually, thanks for sharing your worthy thought with us. Whenever you bring any new idea and find out that everything has been taken by someone else. You can search for any similar domain name. Having a better domain name always good for your business. Great article. Choosing a perfect domain name is one of the most important steps of blogging. However, the sad part is that most of the good domain names have already been registered and it’s hard to find a catchy domain name with (dot)com extension these days. I agree with all your points, and it would be great if you could suggest some brainstorming tools or tips to find good two words domain names. This is one the worst parts of starting a new blog. You have to work hard to find the perfect domain name. The dot com extension is rarely left for your choices. So before you jump to any bad decision, always buy the domain name a few days ago. There are many new extensions nowadays. Now it is possible to book the names which was not available in TLD. Thanks for sharing such a nice post. You’re right. But to get high exposure, you should always go with the .com and .net extensions. Also, i want add that you can try some tools like namemesh and domainbot for getting awesome name ideas. Namemesh is a helpful tool for the people who really want to get some ideas. But I always go with my instincts. What a fantastic post is this! You have mentioned almost every point to be considered at the time of selecting a domain name. I like your point- cybersquatting, which is very important to remain at safer side. Adding keywords in a domain name is also a crucial part of SEO in 2017 but same time keeping it simple and user-friendly (for pronunciation & typing) have a great value. Newbies can decide the right domain name if they read this article.